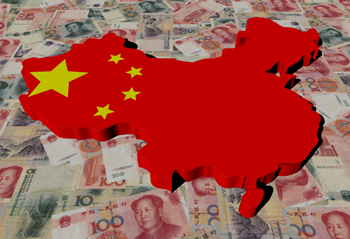 The recent rash of equity sales and gold purchases by renowned investor and philanthropist George Soros has revived concerns that China’s economy is poised for a major disruption in the near future. The speculations came in the wake of the magnate’s statements earlier this year that the mainland’s struggles with mounting debt mirrored those of the United States just before the financial meltdown nearly a decade ago, according to Kevin Carmichael’s report for Canadian Business. “Yet to achieve its growth target of an annual rate of 6.5%, the Chinese government is borrowing heavily to fund investment,” he added. However, while the Bank of Canada still sees housing corrections as unlikely triggers for a financial crisis, a Chinese collapse can adversely affect the hottest real estate markets in Canada, where majority of high-end properties have already been snapped up by wealthy investors from the mainland. “[The] Bank of Canada is worried about liquidity in debt markets. That matters, because if investors are becoming less willing to hold debt, interest rates could speak in the event of a shock such as another bout of worry about the state of China’s economy and financial markets,” Carmichael argued. As we have seen in previous China financial crisis, that only fueled the flight to safety and Canada's Real Estate market was one of those safe bets?